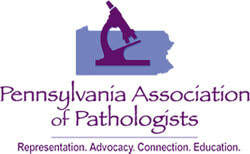 This year’s program featured speakers from all across Pennsylvania and represented multiple institutions offering a range of knowledge and expertise within the field of pathology. The institutions represented included University of Pennsylvania, Penn State Hershey, Temple University, University of Pittsburgh Medical Center, Children’s Hospital of Philadelphia, Thomas Jefferson University, Einstein Medical Center, and Pennsylvania Hospital. Thank you to all of our speakers for taking time out of your schedules to make our meeting great! Residents from four institutions (Temple, Hospital of the University of Pennsylvania, Drexel and Pennsylvania Hospital) submitted abstracts for this year’s meeting compiling a grand total of 22 submissions. Of those submissions, 3 were selected to present orally while the remaining abstracts were presented in poster format. Momentum Scheduling - Bio Optronics, Inc.